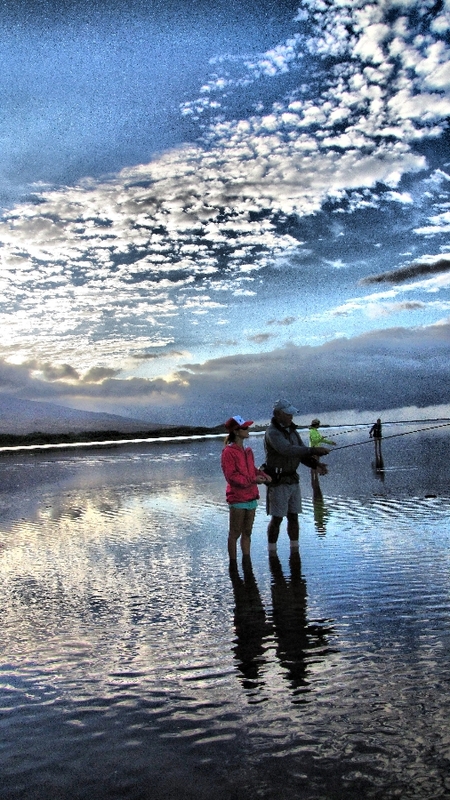 I have lived on Molokai for over 45 years and have been fishing for over 50 years. This is how I support my family. Over the years, I’ve witnessed some of the declines in fisheries, and have found my priorities shifting towards stewardship of our precious reef ecosystems. 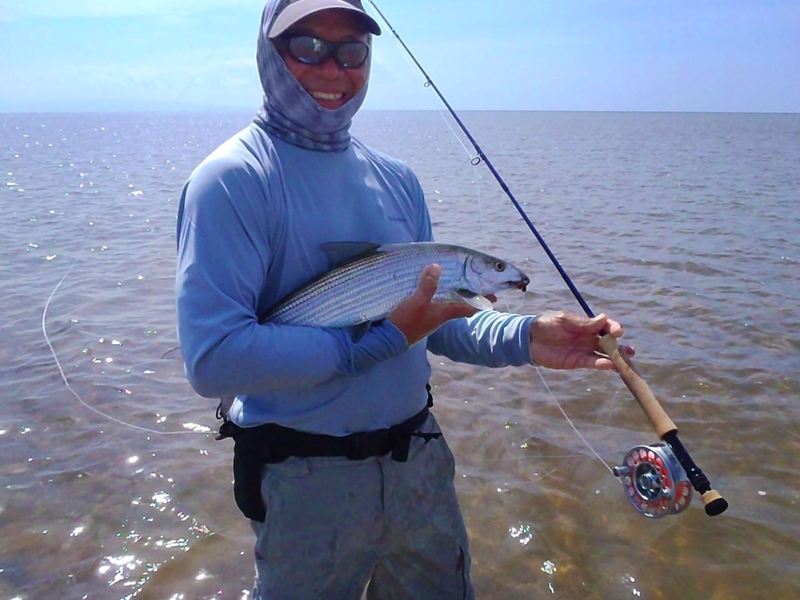 Over the past several years, I’ve become addicted to Fly Fishing on the Flats for Bonefish. One of the most exciting things about fly fishing is that it is 100% catch and release, which supports our Molokai vision of sustainability. Our ecosystem here is extremely fragile yet pristine. This is one of the reasons I feel fly fishing is beneficial to our island lifestyle! 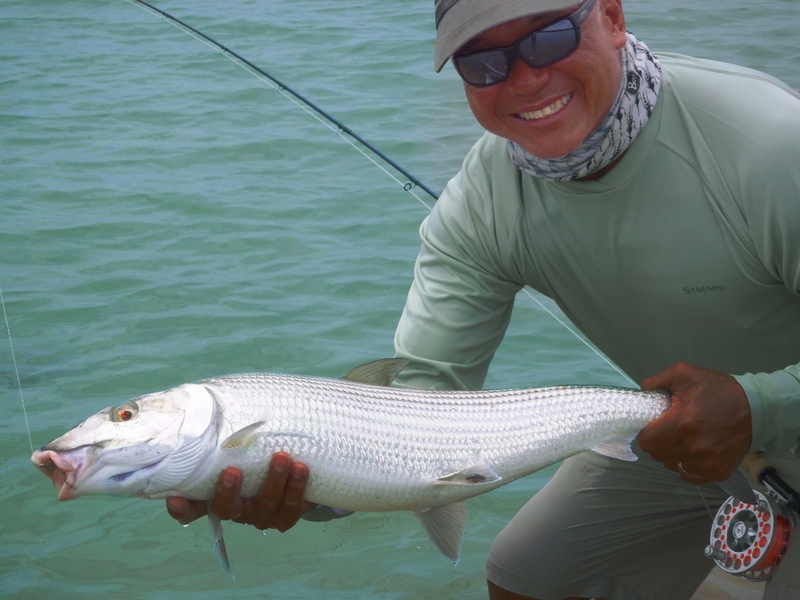 For you anglers who have fished in other exotic areas of the world for bonefish, you may be disappointed by the smaller numbers of bonefish here. You will never see vast schools of a hundred fish or more. But what we do have, are BIG bonefish. Average fish are 6-8 pounds, with singles and doubles being the most common. Fishing on Molokai is not just another fishing trip, it’s almost a spiritual journey into Hawaii’s most serene waters to fish.